The brand-new Jack Reacher short story, published as an audio exclusive. 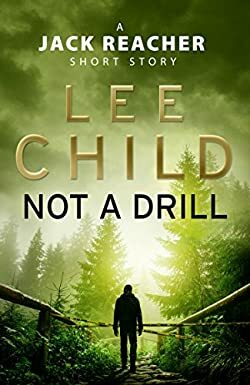 In this short story from Lee Child, Jack Reacher is again on the move. But even a pleasant hike on a beautiful summer day turns into a walk on the wild side . . . and perhaps something far more sinister. The tiny town of Naismith has nothing going for it – except the start of a wilderness trail through Maine’s ancient forests. But one day the trail is suddenly closed by county police. No reason is given. Rumours start – is there something in the woods that no one must see? That no one must even know about? Then Jack Reacher drifts into town. What does he make of the Do Not Enter tape strung between the trees?